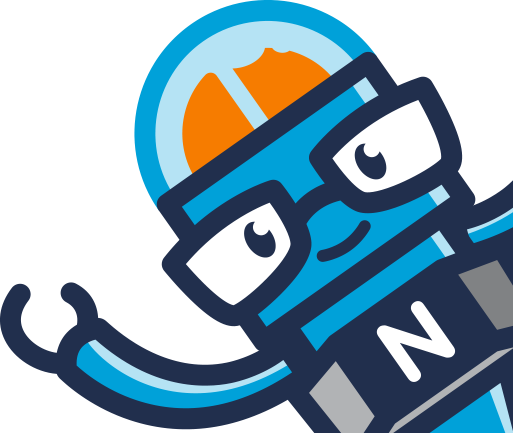 Noodle allows administrators to set permissions for each application and section for user or groups. 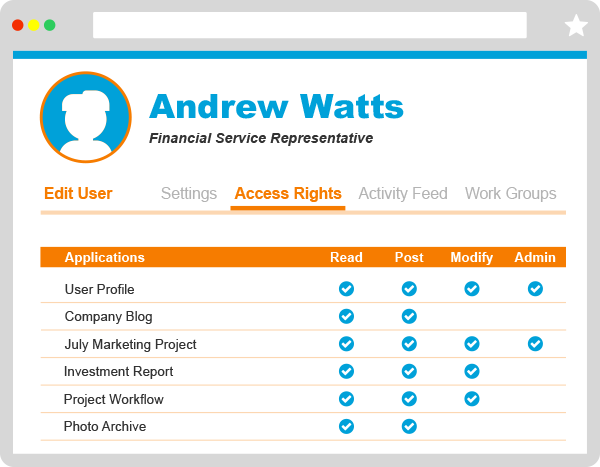 The Access Rights Read, Post, Modify and Admin are integrated making Noodle a very flexible secure platform that provides the ability to finely set the level of access. Noodle has over 14 built-in applications and integrates with many popular web based tools such as Google Docs. An unlimited amount of applications can be created within the interface to provide every function your company requires. 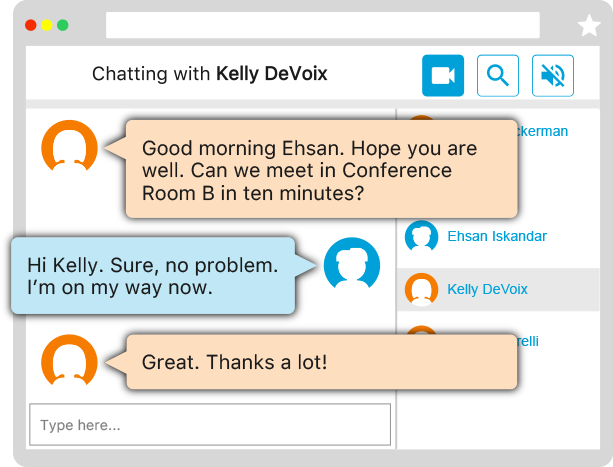 A fully integrated communication system is in place to get all your team members on the same page. 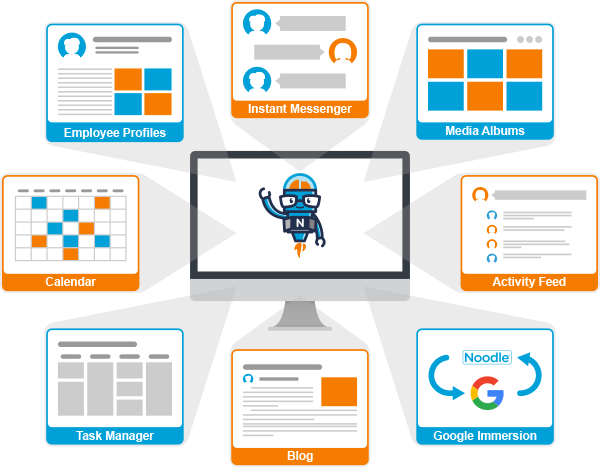 Instant messages, Group Chat and Live Video Conference are all available and integrated in Noodle. The Forms & Workflow application creates custom electronic forms and collects, sorts, and will run detailed reports on the data collected. 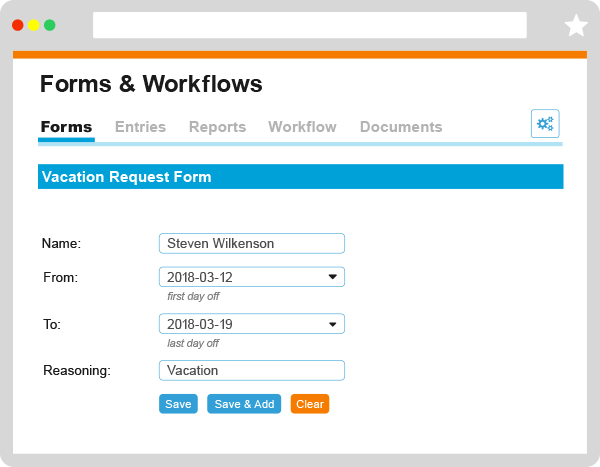 It can be used to create vacation request forms, contact databases, surveys, or anything that requires data collections and retrieval. 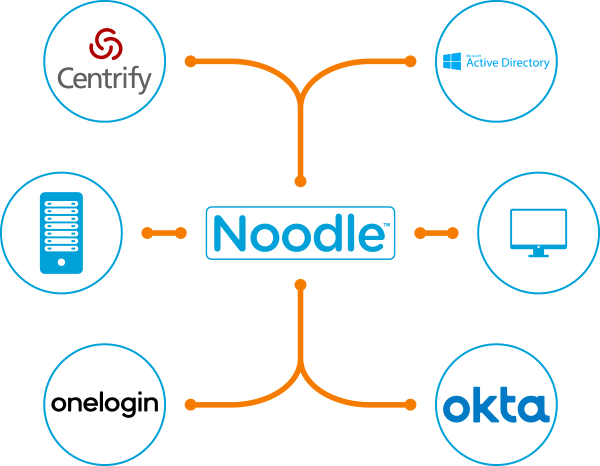 Noodle supports LDAP and IWA allowing authentication with Microsoft Active Directory, and Single Sign-On (SSO) with Kerberos. With Noodle’s single sign-on option, you can also use your preferred third party services, such as One Login, Centrify or Okta.